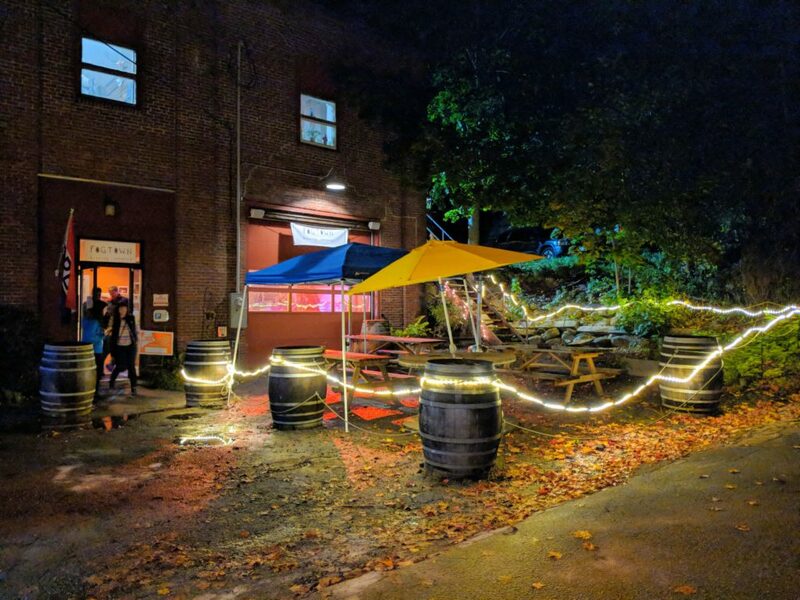 Fogtown was founded in 2017 in Ellsworth, Maine by long time friends Jon Stein and Ian Heyse, who wanted to create a community space that would foster art, music, education, craft food and drink, and all-around good vibes. Head brewer, Jon Stein, began home brewing as a small child and continued to hone his craft working and studying at breweries around the world. Both Jon and Ian have ample experience in construction and general problem solving, and designed and built their brewery from scratch using reclaimed timbers, barnboard and any other curious items they could scavenge. Fogtown’s 7BBL brewing system was built in Maine, and malts are sourced primarily from growers and maltsters in this state as well. 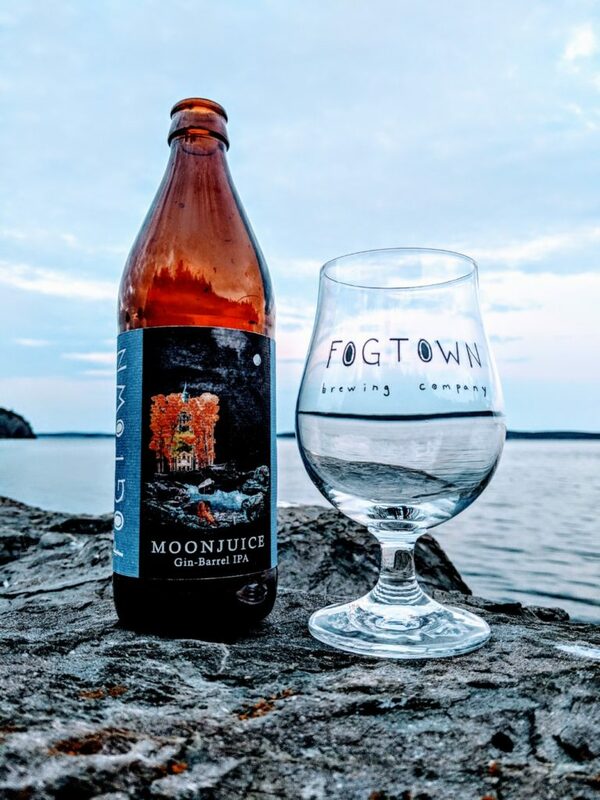 Fogtown offers refreshing lagers, Maine Coast IPAs, ales brewed with locally foraged herbs and spices, barrel aged stouts and sours, and much more! Eat at Joe’s food truck is stationed outside whenever we’re open, and offers locally sources, grass-fed organic meats and more. 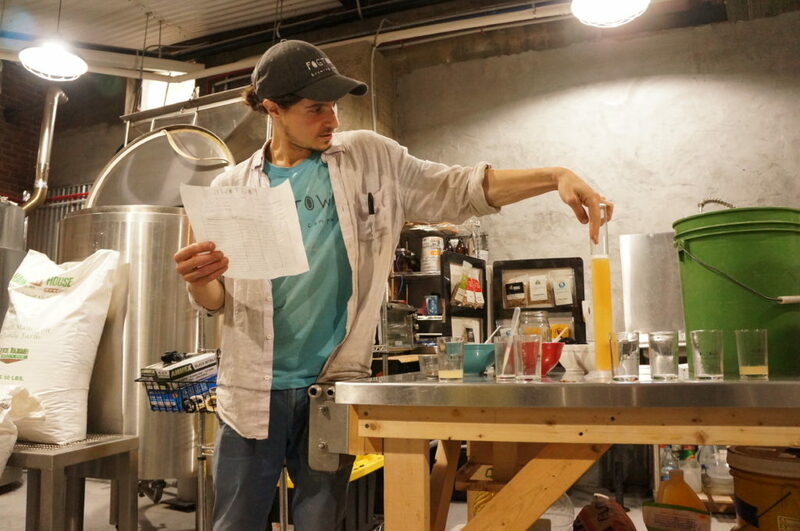 This winter, Fogtown is offering beginners’ homebrewing courses, as well as opportunities for homebrewers to experiment with larger scale brewing. We’re also booked up with live music, art releases, and whatever else we can dream up.